No video today. Just posting some log information. We've had 1 week of very cold, below freezing temperatures, but it's been dry. Today we got our first snow fall and are expecting some bad weather for the next few days. I took weights and checked on my hives this morning. 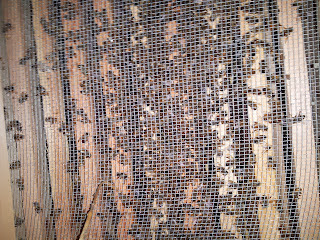 Temperature was 24 degrees F.
One thing to note: The hive weights increased 2-6 lbs over 3 weeks ago. 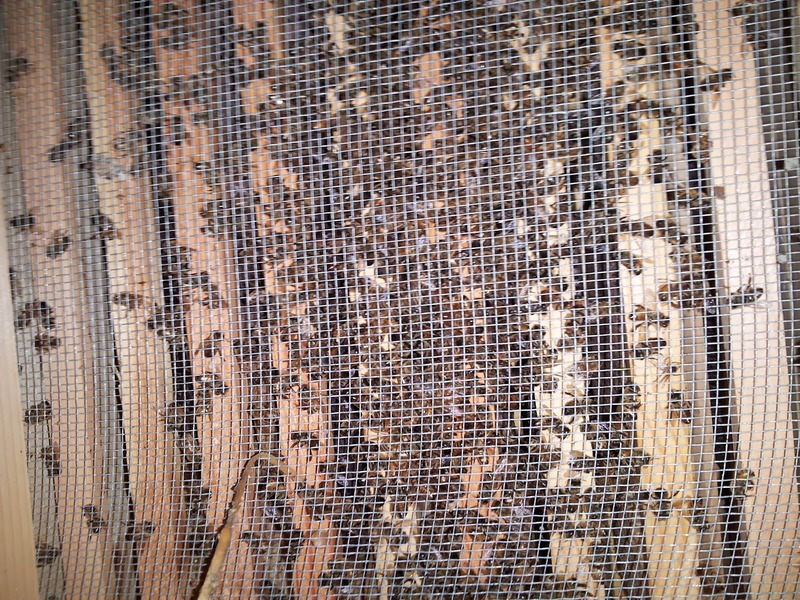 I suspect the hives have not gained weight, but instead the scale measure +5% in freezing temperatures. 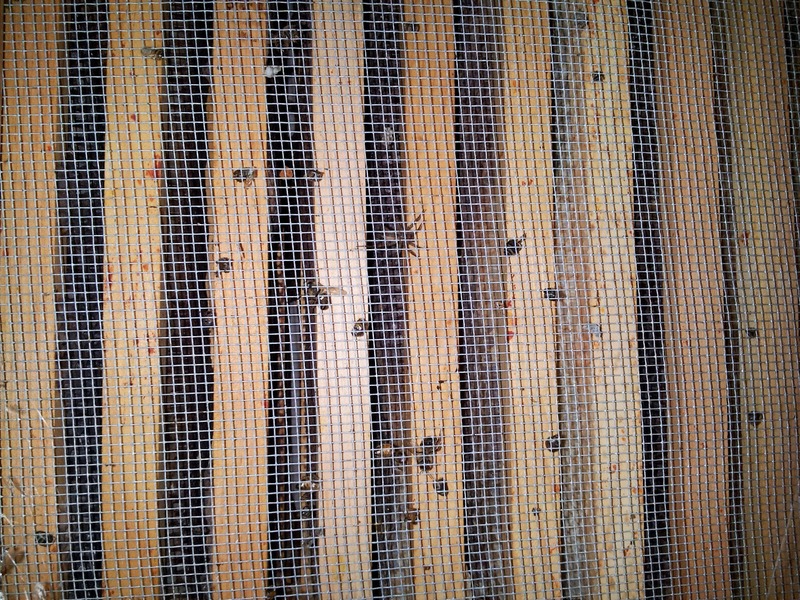 I installed the bottom boards on all hives except Catherine & Guinevere. I also noticed that the hives with quilts didn't answer back when I knocked on the hives, but I could hear them inside. I don't know if the quilt damps the vibration or has some kind of acoustical affect that either makes my knock less disturbing or just more difficult to hear their responsive buzz. Beatrice: (quilt) 78 lbs. Quiet but still seems to be alive. I could barely hear a soft buzzing within the hive. No mess of dead bees on the bottom board. Catherine: (quilt) 93 lbs. Sounds good. Dulce: 116 lbs. Sounds good. Elizabeth: 120 lbs. Sounds good. Flora: 140 lbs. Sounds good. Guinevere: (quilt) 84 lbs. Sounds good. Helen: 150 lbs. Sounds good. Isabella: (quilt) 59 lbs. Might be dead. 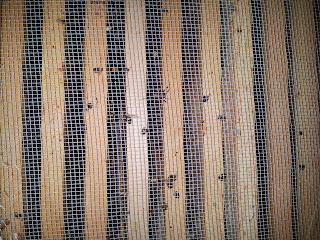 Lots of dead bees on bottom board. I couldn't hear them inside. I'll open it up on the next nice sunny day. Jezebel: 80 lbs. Quiet, but still there. We'll see how well they survive the coming weather.